No one is responsible for your happiness but you. It’s a choice you have to make – will you live a life of happiness or not? 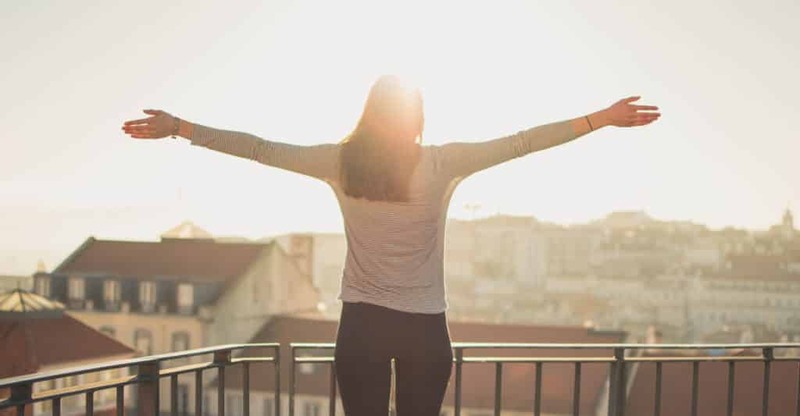 Be happier now by letting go of these 8 things. The amount of happiness and contentment that you carry with you each and every day is dictated by the weight of things you hold onto. Yes, your environment –work, home, finances, and responsibilities play a considerable role in your happiness – but who you were and what you did before now, and the things that you hold onto can be a heavy burden unless you give yourself permission to let them go. These weighty issues are keeping you from being at your happiest but they don’t have to. You have the choice to change what is holding you back and you don’t have to hold onto them any longer. Here are 8 things you need to let go of starting now. 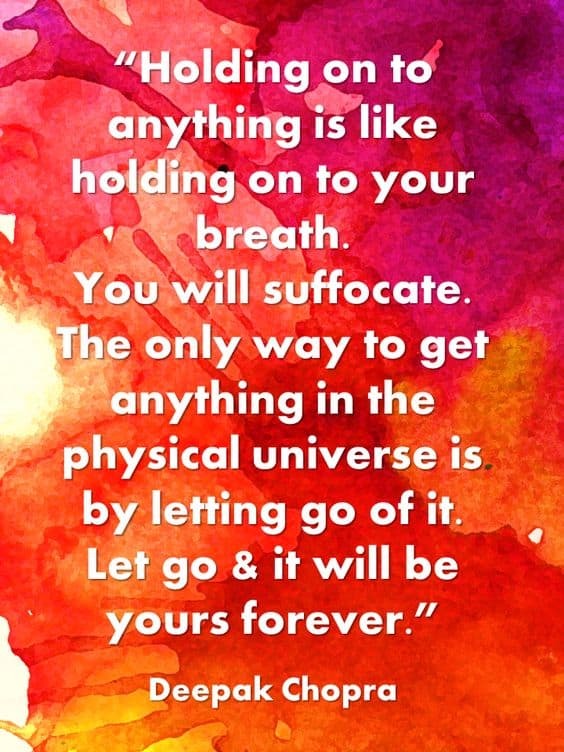 Let go of the heaviness that comes with holding on. Let go of the negativity that surrounds your thoughts and actions and allow yourself permission to move on and live a healthier and happier life. You cannot change the past and that’s exactly why you shouldn’t waste your energy and worries dwelling on past regrets or mistakes. If you are looking back and thinking about the past – which obviously you cannot change or alter – you aren’t present in your life right now. Stop living in the past and live in the present. Let go of what you cannot change and what you regret. If you have the chance to make a wrong right, or mend a broken relationship, then take the opportunity to do this if it’s something that is holding you back. If your regrets still creep into your conscious, then make the resolve to fix what may have been broken or mishandled. If something is broken or you can’t go back to it, you have to make peace with the past and simply let it go. What is the lesson(s) that you have learned from what happened in the past? Not everything can be mended or repaired but the circumstances may serve as a lesson to a greater purpose. To make peace with the situation, discover the lesson you had to learn, say thank you for its purpose and then let go of the past. My four year old will argue with me over the need to be right and have the last word until he’s blue in the face. But he’s four and feels the need to always be right. The need to be right prohibits you from exploring other opinions and points of view. Take the time to hear other arguments or suggestions before you close the door on exploring other points-of-view. Sit back and listen to other people and you might gain a better appreciate for the topic, more insight from a different perspective or angles you haven’t considered before. Stop limiting your thoughts and perceptions – open yourself up to broader thinking. You cannot control every aspect of your life – no matter how hard you try. Sometimes you have to let go, relax and trust that things will work out. Let life happen. Being in control all of the time is exhausting and can take a toll on your emotional, mental and physical health. This doesn’t mean you have to let go of control of all aspects of your life; you can relax and not plan all aspects of your life. Choose to relax the areas of your life that are weighing on you from holding onto too much control. Let the situation be what it is going to be, not what you think it should be. The way you speak to yourself impedes your thoughts, it manifests in your body and negative self-talk is harmful to your happiness. 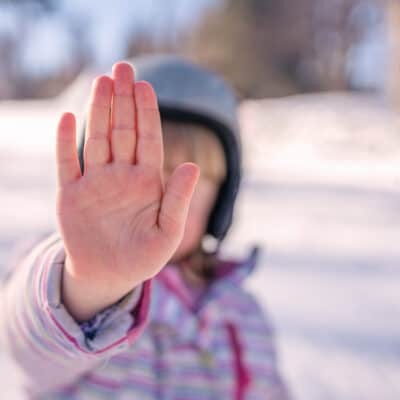 This can be body-shaming, negative talk at work, about your faults and mistakes, or even guilt you may have as a parent, as a mother, a friend or wife. What would happen instead of criticizing and putting yourself down, you started improving your thoughts and words. Encourage and support, be a cheerleader and positive influence and see what happens. Practice positive thinking to stop negative thinking and see how you can transform your life. When you are positive and feel happy on the inside, the law of attraction will draw more positive experiences and happiness to you. The law of attraction states, “like attracts like.” If you complain and are miserable, you will attract more negativity and misery to you. Do you really want that? Probably not. What you do want is to attract positive experiences and positive people that will enrich your life, support you and encourage you to reach your goals. We all have our own journey in this world – some of us are mothers, doctors, teachers, computer programmers, world travelers, swimmers and some of us are rich, poor, democrat, libertarian, republic, gay or straight, religious or non-religious. We each have our own path in this life to walk, we are not in competition with anyone else because no one else has the same unique path that you do. Instead of comparing yourself – your accomplishments, finances, choices, lifestyle – to others, just aim to improve upon yourself and be the best version of you that you can be. Along those lines, stop comparing your accomplishments and what you have to others. There will always be people who have more than you and there will always be people that have less than you. A lot of times we live in this unfortunate state of materialism and compare ourselves to our peers, our family, and our friends. Our thinking shifts to: What do they have that we don’t have? For example, we just bought a new house in December and several other friends bought new houses around that time as well. While we were really happy with our purchase and were able to remodel it to our tastes, there were times that I was embarrassed to show it to others because it wasn’t as big or as nice compared to their new homes. I was embarrassed to admit felt like this because I realize we are very fortunate to buy a house, to afford such a house and my husband and I work very hard to have a nice home in a nice neighborhood for our family. My thoughts were completely irrational and selfish. If I let society get into my head and if I continue to allow that way of thinking then what we own and what we accomplish may never be enough and I may never feel content. Instead of thinking about what other people have that you do not, be grateful for all the good things you have in your life. Do you have a roof over your head? Do you have enough to eat? A car? A job? Health insurance? A family that you love and who loves you? If you have these things, you are a very lucky and fortunate person. Be content with your life and your accomplishments. Everybody has someone in their life that is toxic – they’re negative, narcissistic, self-serving, hurtful to you and not supportive of your best interests and goals. You don’t need people like this in your life! Check out this post about letting go of toxic people, even if this person happens to be a family member. Toxic people have a way of manipulating, lying, playing victim, embarrassing, making you feel certain ways about yourself – guilty, ashamed, embarrassed, a loss of self-esteem, a loss of confidence – they belittle and demean and have self-serving intentions to hurt you emotionally and/or physically. If someone doesn’t support you, encourage and love you, celebrate your wins and share in your losses, then they will not be a person who will bring happiness to your life. Take a hard look at your relationships – who makes you feel happy and loved and who makes you feel bad about yourself and hurts your soul? Gossip serves no purpose but to spread lies and hurt someone so the person gossiping can feel better about themselves. Stop the gossip in its tracks – if you are around someone that is gossiping, positively turn the conversation around. Add a compliment for the person being discussed or talk about something that they do that you admire and then change the subject. Show others that you don’t participate in negative speaking of others but choose to celebrate things you admire about them instead. Stop judging other people and making assumptions (i.e., gossip) because you don’t know about their situations and why the do and make the choices they do. Until you walk in someone else’s shoes, you have no idea about what goes in their life, who are you to judge them? Unhealthy boundaries are those things that make you uncomfortable, that you feel obligated to do but don’t want to do, are a burden, stress you out, cause unnecessary amounts of work and make you unhappy. Don’t feel guilty or bad about the healthy parameters you choose to set in your life. Boundaries allow us to take better care of ourselves – emotionally, mentally and physically – you deserve it. What else do you do that helps you live a happy life? What things have you let go of to make yourself happier? This was one of the hardest ones for me too, but winning battles with my four-year-old is nearly impossible these days so he’s definitely helped me let go a little bit. Glad you enjoyed, thanks for commenting!